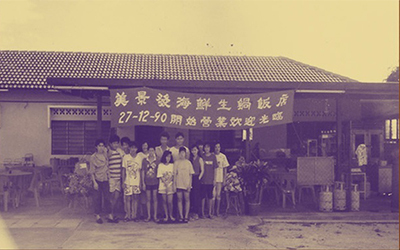 The Mei Keng Fatt Seafood Restaurant Sdn Bhd was founded in the 1990’s in Tamkong Village. We started small with only 10 tables and was staffed by 13 people, many of whom were family members. We have now grown to what we are today, a full-service restaurant specialising in live seafood dishes and local Chinese dishes cooked with traditional family recipes. 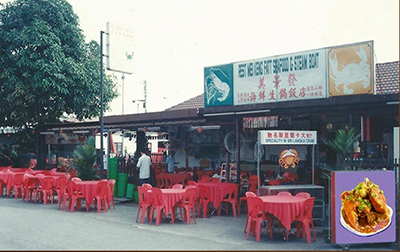 In 2000, the Mei Keng Fatt Seafood Restaurant Sdn Bhd expanded to two levels with a newly renovated interior fully equipped with private dining rooms and karaoke facilities. For our customers’ convenience, we have also renovated two blocks of land directly opposite our restaurant as car parks. We have also employed a team of loyal employers who have served our customers for many years. Our 60-strong workforce is customer focused and well presented to ensure we offer our customers the best service. 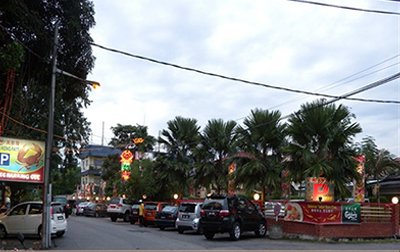 The Mei Keng Fatt Seafood Restaurant Sdn Bhd began to build a reputation as a local favourite, welcoming most of the residents from Tamkong Village and its busy local industrial and corporates. 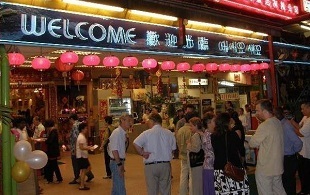 Since 1990’s, Mr Phoong has always worked hard to expand the business. He has dedicated his life to his exclusive seafood menu by giving the best quality ingredients and unique cooking methods. Over the years, he has developed new dishes incorporated with homemade sauces such as black pepper prawns, our own signature Chilli crabs and winter melon soup. Our focus is on providing crab cuisine. The Mei Keng Fatt Seafood Restaurant Sdn Bhd took great care to source top quality crabs. We served highest quality “Australian Oversized Crab” weighing approximately 2-3 kgs and “Sri Lanka Crab” weighing approximately 1kg. Our crabs can be cooked using butter milk, chilli, sweet marmite, black pepper, salted egg yolk and many more. Freshness of our seafood is assured with the restaurant 10 large glass tanks containing all sort of live seafood. Tanks are filled with seasonal seafood such as Bamboo Fish, Tiger Grouper, Australian Lobster, Canadian Geoducks, Tiger Mantis, Philippines Slipper Lobster and Alaskan Spider Crabs, among other varieties. 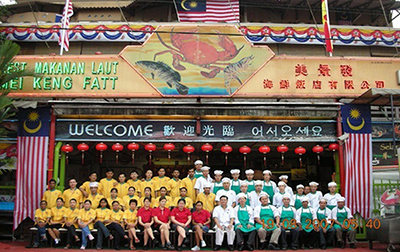 The success of the Mei Keng Fatt Seafood Restaurant Sdn Bhd has seen media attention, including an article in the prestigious Hong Kong food column. We are proud to have hosted many International celebrities who have enjoyed our fresh and unique seafood dishes. Thank you for reading this. We are always looking forward to your visit!